DNS Made Easy details the expansion of their San Jose super cell, along with plans for future expansion into the next quarter. Future expansion into Frankfurt Germany, Ashburn Virginia, and Dallas Texas, are scheduled for the next quarter. DNS Made Easy, the world leader in enterprise IP Anycast DNS services, has just finished the first phase of their expansion to their San Jose, California point of presence (PoP). The upgrade continues DNS Made Easy’s commitment to maintaining the largest dedicated IP Anycast DNS Network in the in world. The planned expansion was part of DNS Made Easy’s fifth generation network. The company continues to evolve and change network architecture based upon current user demands. DNS made Easy is continuing to redefine the DNS industry with engineering ingenuity. This continuous drive to service perfection is one of the many reasons that clients make DNS Made Easy their preferred choice to over-priced and under performing alternatives in the enterprise IP Anycast market. DNS Made Easy has already deflected a few DDoS attacks in 2012, but has yet to experience any downtime as a result. With the expansion into San Jose, the company is in a good position to move forward with increasing capacity for legitimate traffic, while raising speed and redundancy in the network. Future expansion into Frankfurt, Germany, Ashburn, Virginia, and Dallas, Texas, are scheduled for the next quarter. The higher capacity these sites will bring to the DNS Made Easy network will offer their customers increased redundancy and speed. The culmination of all planned upgrades will help DNS Made Easy achieve the goal of launching the industry’s first IP Anycast+ DNS network, slated to go live later this year. 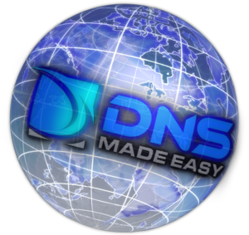 More information about DNS Made Easy suite of services is available at http://www.dnsmadeeasy.com. DNS Made Easy is a subsidiary of Tiggee LLC and is a leader in providing global IP anycast enterprise DNS services. DNS Made Easy implemented the industry's first triple independent anycast cloud architecture for maximum DNS speed and DNS redundancy. DNS Made Easy originally launched their DNS services and web management portal in 2002 and has grown to manage hundreds of thousands of customer domains receiving more than 5.0 billion queries per day. DNS Made Easy has a proud history of industry leading uptime and ROI since launching their DNS service. DNS Made Easy has been the preferred choice for most brands on the Internet compared to the over-priced and under-performing enterprise IP anycast alternatives. Tiggee LLC (tiggee.com) is a privately held company, formed in 1999 to provide innovative internet solutions for businesses. "Putting your business on the Internet is our business." Tiggee LLC’s subsidiaries include DNS Made Easy (IP anycast enterprise managed DNS services – dnsmadeeasy.com), VPSit (enterprise virtualization environments – vpsit.com), Host Made Easy (dedicated server hosting and co-location services – hostmadeeasy.com), Top Level DNS (TLD name services – topleveldns.com), Resolving Name Server (resolvingnameserver.com), Show My Host (showmyhost.com), Reverse DNS Trace (reversednstrace.com), IPv6 Verify (ipv6verify.com), and Domains Made Easy (domainsmadeeasy.com).